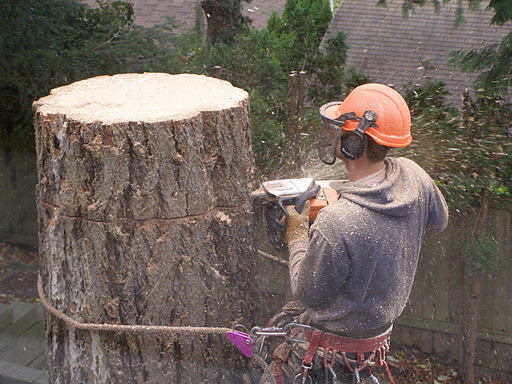 Time to call in the experts, be still my heart, to handle keeping our big trees in good shape. This time around we may need a large cedar, or should I say, what’s left of a large cedar brought down and replaced with a more space-appropriate specimen that won’t be ruthlessly hacked at to keep power lines clear. The first time we had a crew come in to deal with our trees I couldn’t help but write a short story about it. You’ll see why if you read the text below. It turned out to be the the very first post in this blog. To this day it remains one of my favourite entries. Still my favorite post. Thank you for revisiting.